Hudson Reed Radiators > Eton Bathroom Radiator (Chrome). 400x700mm. Eton bathroom radiator in chrome. 392 BTUs. Size 400W x 700H mm. 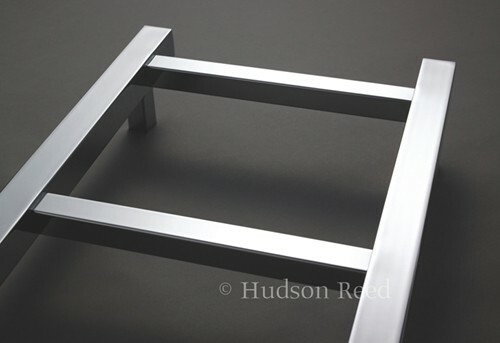 5 Year guarantee: Hudson Reed guarantee this Eton radiator for 5 years. Hudson Reed Radiators offer stylish modern and traditional radiators to suit any bathroom, and provide the high quality finish you always expect from Hudson Reed.